The Henry Wag Microfibre Dog Cleaning and Drying Glove is a great way to quickly and efficiently remove water, mud and dirt from your dog's coat and paws. Like their best selling microfibre pet towel but in the form of a handy glove for you to wear as you clean and dry your dog. 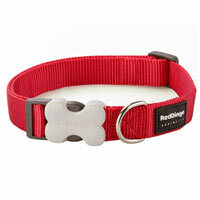 Keep one in your car or at home to cope with wet and muddy dogs after walks. They absorb more water and dry more quickly than regular towelling material. Soft, light and absorbent, they are a quick solution to wet and dirt. Using advanced microfibre technology, they are much more effective than standard toweling - removing dirt and locking it away in the special fibres. This high-quality product has a fronded 'noodle' side for maximum cleaning and absorption and a woven side to groom the coat. It has a finger grip to reduce slip when in use and a durable inner liner. To use, position the internal stitching between your index and middle fingers for control. Gently rub your pets fur with the noodle side of the glove to remove water and dirt. Take care to clean the legs and paws thoroughly. Use the smooth side in the direction of the fur to produce a sheen. 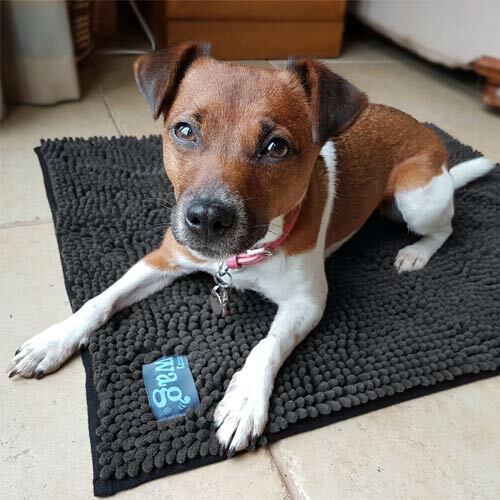 The Henry Wag brand focuses on innovative products to improve the health and wellbeing of pets and simplify the tasks associated with pet ownership. Machine washable and quick drying. Wash at 40 degrees with a little detergent. Do not use bleach. Can be tumble dried on a low heat. One colour Grey/Blue. One size approx. 24 x 15cm.